Vacation rental house. 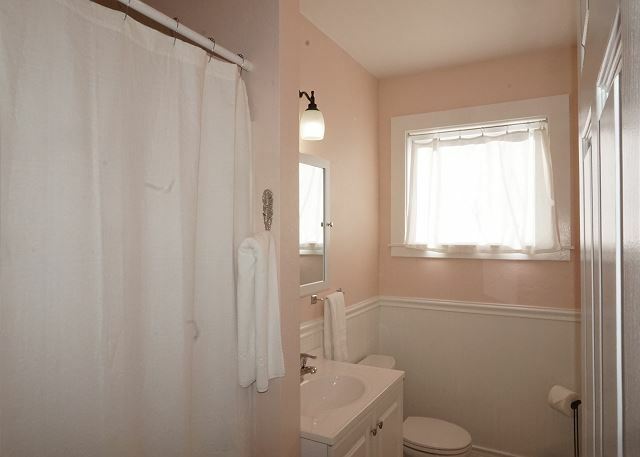 Sleeps 4, 2 bedrooms, 1.5 bathrooms. Dogs allowed. Good times await for friends and family enjoying the ping pong table, as well as the BBQ and lounge chairs out back. Brand New! 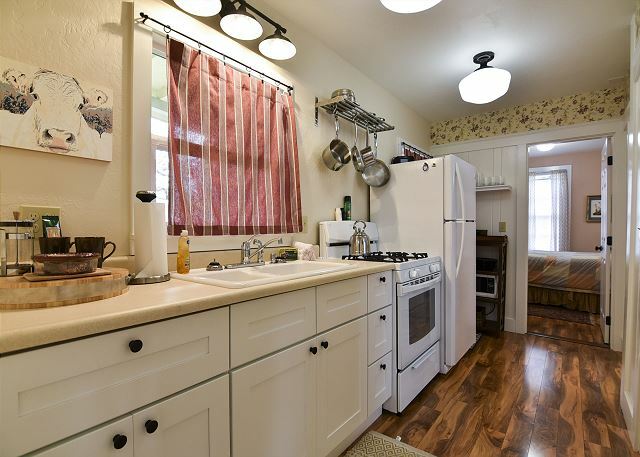 Completely remodeled 2 bedroom, 1.5 bath home with full kitchen, living room & dining area. 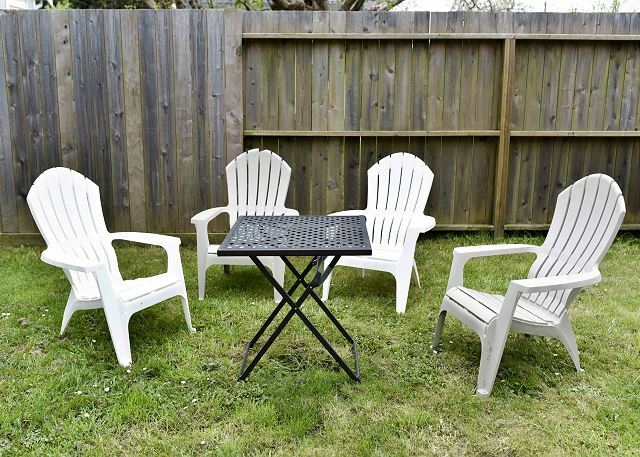 Shared backyard with outdoor seating, gas BBQ and ping pong table. 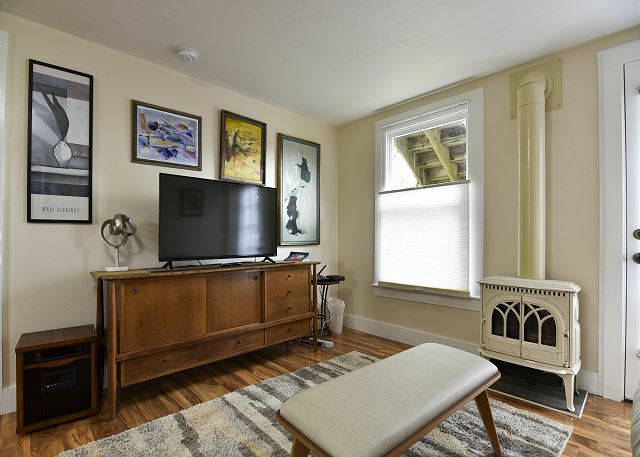 Sauna, washer/dryer w/ small fee, and bicycles in the shared downtown lounge. 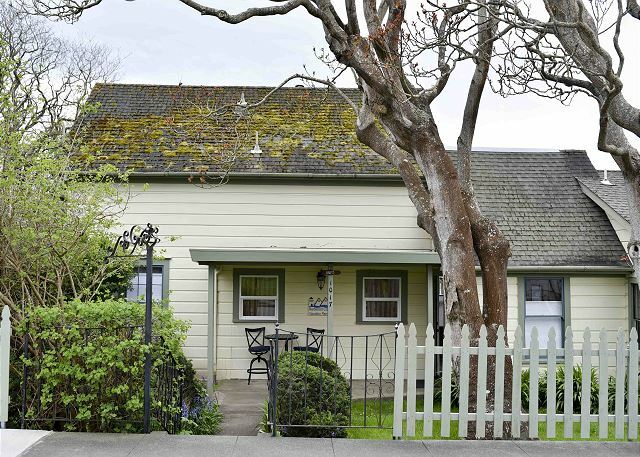 This home is one of the first homes in Arcata, built in 1860! The location is great for walking to cafes, restaurants, theaters, lounges, parks & Humboldt State University, and about a 40 minute drive to Prairie Creek Redwoods State Park & Lady Bird Johnson Trail, with over 100 miles of hiking trails. And, the author Brett Hart lived here in the 1860's. Create your own story while you're here.There are three rentals that are connected, and this home is on the first floor. It is the largest of the 3, and the other 2 are called Downtown Digs & Downtown Loft. The large yard is shared by all and we do have an area in the back area that is fenced off that you access through your back door. There is a gas BBQ and outdoor ping pong table for all guests to enjoy. One dog max per rental please, and we kindly ask that a dog never be left at the property (inside or out) with you not present. We have also added an outdoor plug for a level 2 charger for electric vehicles. Thank you! So nice to hear your loved Downtown Drift. Folks love the place, location, and the town. We look forward to having you back! 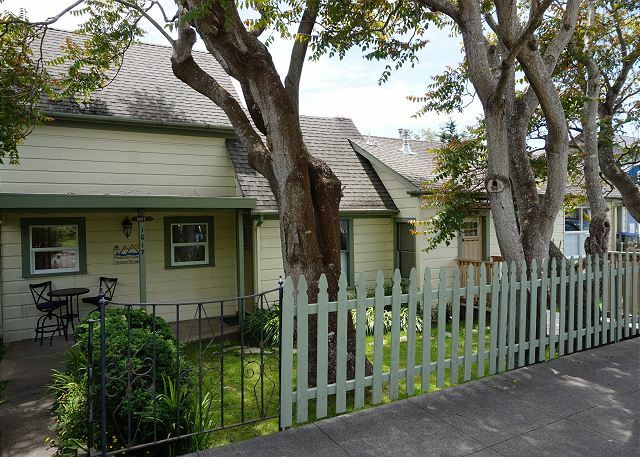 A great location, and a very cute and cozy apartment right by downtown Arcata. We loved it! Thank you! So happy to hear you loved the home, lots of folks feel the same way. 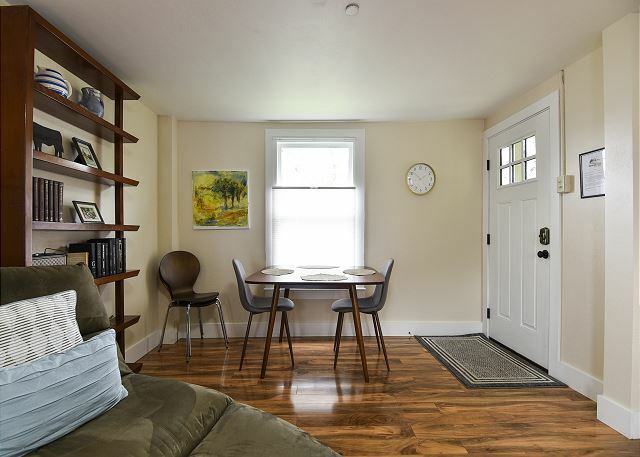 It's cutely furnished, affordable, and pet friendly! Not to mention location and extras such as a ping pong table and bicycles for enjoying a nice sunny day around town. Please look us up at Redwood Coast Vacation Rentals when planning your next trip to the North Coast, and thanks again for leaving a review! Stayed here while my daughter visited HSU. It was super close to the campus so I could drop her off easily then go back to the apartment and enjoy it. One block from coffee, restaurants, and shopping. We were able to walk everywhere. The place was super clean and had everything we needed. Happy to hear you had a chance to enjoy the Downtown Drift! Guests really love this spot, close to everything, pet friendly. 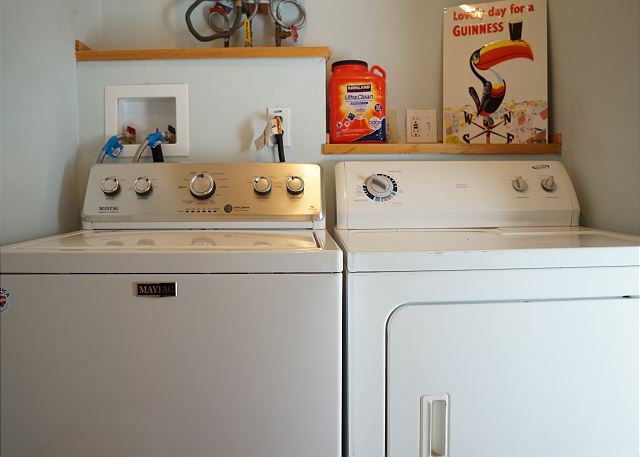 washer/dryer available, cute and comfortable and affordable! What's not to love! We hope you ill be back again soon to play some ping-pong and enjoy the bikes available for exploring. Thanks again to your review, please look us up at Redwood Coast Vacation Rentals when planning your next trip! Perfect rental in the redwoods. Great rental experience. The house was comfortable and clean. Great location. Thank you for taking time to leave a review of your stay at Downtown Drift, we appreciate our guests feedback. Situated perfectly for those wanting all the comforts of being in town, but just a short drive to world class trails and beaches, Downtown Drift has it all. Plus it's pet friendly and priced affordably! We hope you will return soon to the North Coast, and when you do, please look us up at Redwood Coast Vacation Rentals to book your next stay. Thanks again for your review! Thank you very much for leaving your review of Downtown Drift! I'm very glad to hear this was a return trip and that you appreciate the thoughtful touches the owners have added. People really love this property, as well as Downtown Digs and Downtown Loft which are all on the same property. And there's plenty of yard for people to kick back and enjoy the weather and play a game of ping-pong. Please come back and stay with us again, we would love to have you back the next time you find yourself on the North Coast! Visit us at Redwood Coast Vacation Rentals,with over 120+ properties, there is something for everyone! Highly Recommend To Stay Here! Perfect house , perfect location! Very clean, everything we needed, close to downtown. Quiet, cozy and convenient. Thank you Michalea, we look forward to having you back to see us again soon! Lots to see and do while visiting the North Coast and this is a perfect spot to call home base while exploring. From bikes, to ping pong to sauna, the owners have thought of every comfort so you'll feel right at home at Downtown Drift. Thanks so much for leaving a review, please look us up at Redwood Coast Vacation Rentals when planning your next trip. Thanks again! May stay was very pleasant, As always the rooms were clean and set up nicely. The only issue we had this time was access to the local channels on the TV. Everything was great. Sorry to hear you were experiencing issues with the local channels, our local cable provider was switching a lot of TV's over to digital receivers and there were a few hiccups along the way. Rest assured, everything is back to smooth working order, so no worries when you book Downtown Drift in the future! Lots of extras, like access to bicycles and sauna, make this property stand out for it's amazing value and the thought given to the guests comfort and entertainment during their stay. Please look us up at Redwood Coast Vacation Rentals when planning your next trip to the North Coast, with over 120+ properties, there's something for everyone! We had a lovely stay. The house was in a perfect location. It felt cozy, and had very thoughtful touches. Plenty of linens for everyone. I would highly recommend this place for anyone going to Arcata. Thank you very much for leaving a review! There's lots to love here, the ping pong table, the sauna and the washer/dryer are all extra amenities guests appreciate. We look forward to having you back soon, please look us up at Redwood Coast Vacation Rentals when planning your next trip to the North Coast! The Downtown Drift was an excellent choice for our stay in Arcata. It was located walking-distance from the city square and near several restaurants, grocery stories and other shopping establishments. We have stayed in the upstairs loft many times, but I think we will be moving downstairs from now on. The only thing that would make it better is if it had a second comfortable chair in the living room. We company comes over, it is difficult for everyone to comfortably watch TV. Thank you for taking time to leave a review and some feedback. We always appreciate both very much! I will look into the seating situation, but don't know if we could get an additional chair around the TV, I will certainly look into it though! I'm glad you enjoyed your time at Downtown Drift and we look forward to having you back again. Please look us up at Redwood Coast Vacation Rentals when planning your next trip to the North Coast, and thanks again for the review. Perfect location, great accommodations. All you need for a short or long stay in Arcata. 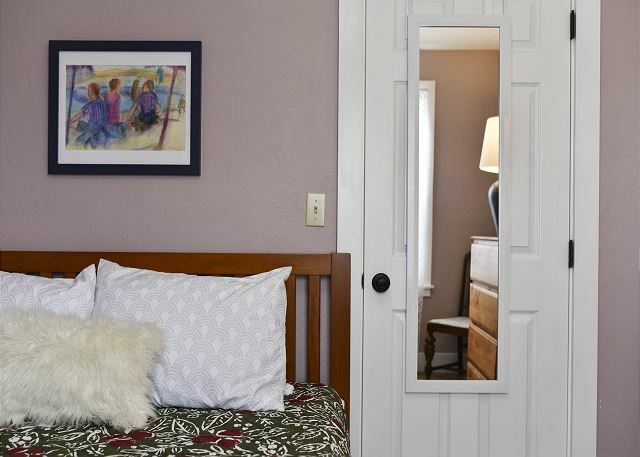 Perfect for a couple or family visiting their Humboldt student. Walking distance from EVERYTHING. But off the beaten path enough to be nice and quiet. Thanks so much for leaving a review of Downtown Drift, we really appreciate our guests leaving reviews, they are invaluable! Please look us up at Redwood Coast Vacation Rentals the next time your planning a visit to the North Coast, and thanks again for leaving a review. This perfectly clean and comfortable home has a slight slant which is the only indication of age. We loved the location within walking distance of downtown Arcata. Lush towels, and plenty of them. Comfy beds. Well-supplied kitchen. Plenty of street parking. Info brochures for the redwoods. Affordable. Quiet. We would stay again. So happy to hear you enjoyed your stay at Downtown Drift! It was converted into three units from one, the last incarnation was as a dentists office. We look forward to your return and again want to thank you for leaving a review with us, we appreciate all feedback! Please look us up at Redwood Coast Vacation Rentals when planning your next trip to the North Coast! Wonderful! Please come back and stay with us again soon, we look forward to your return! Look us up at Redwood Coast Vacation Rentals when returning to the North Coast, and thanks again for your response! We come to Arcata often in the fall for HSU Men's soccer and downtown drift is our new favorite location. Redwood Coast adds nice personal touches with cookies or local favorites. The unit is clean and well organized, the location is ideal for farmers markets and just doing your own thing - and the bikes to the watershed are an amazing bonus. We will stay here again and again. Happy to hear you enjoyed your stay with us at Downtown Drift! 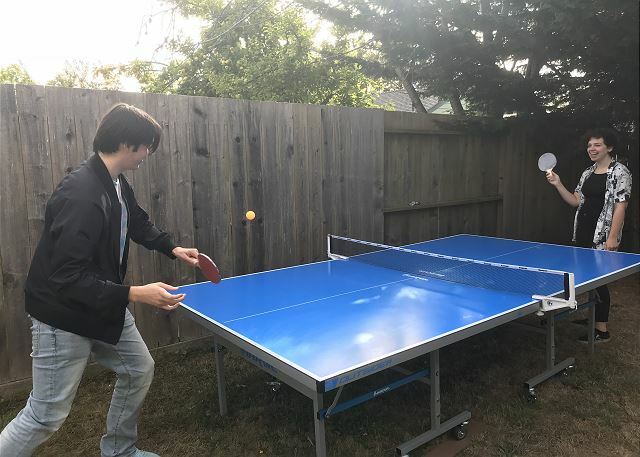 We've just added a ping pong table in the backyard for guests to enjoy along with the bikes and sauna! We look forward to having you back soon, please look us up at Redwood Coast Vacation Rentals when planning your next trip to the North Coast! My husband and I spent one week in this cottage with our son and daughter in law. We enjoyed our stay there. The cottage is furnished comfortable. We slept well, and we enjoyed using the kitchen for some of our meals. This cottage is a good place to relax. We visited a number of nearby nature treasure, including the redwood forest. So happy to hear you enjoyed your time at Downtown Drift. This property is very popular and I think you've seen why! Look us up at Redwood Coast Vacation Rentals when planning your next trip to the North Coast, and thanks again for taking time to leave a review of Downtown Drift! The best mattress and pillows! The sauna and the bikeswere appreciated as well! So glad to hear they enjoyed themselves! The properties are quite popular, as they have a lot going for them. 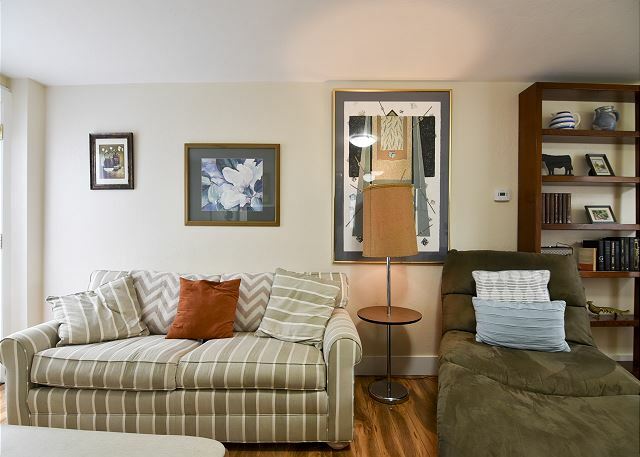 Location, price, comfort, bikes, washer/dryer access, the list is endless! We have added some pillow top foam padding and guests seem to really be responding well! Please look us up at Redwood Coast Vacation Rentals if your looking for accommodations anywhere on the North Coast, with over 100+ properties, we have something for everyone! This was our second time staying at the Downtown Drift and it was wonderful once again. We love that our dog was welcome. The place was clean, cozy and so close to downtown Arcata. 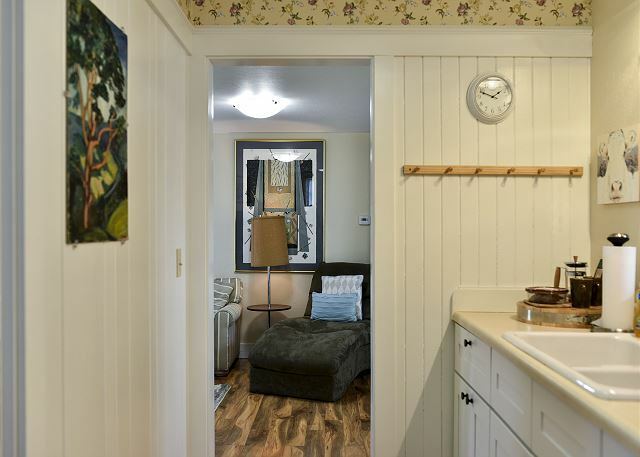 We highly recommend this cute little “home away from home”. So happy to hear that you love this property, I do too. It's clean, cute, affordable and pet friendly. 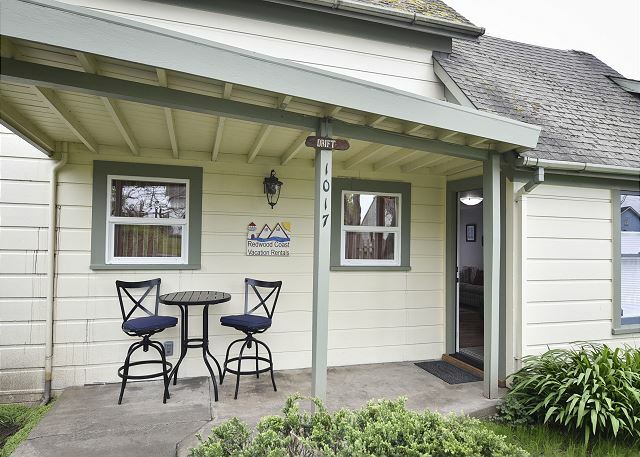 Close to downtown Arcata, but also far enough away to escape the ambient noise of the Plaza. We look forward to having you back again, please look us up at Redwood Coast Vacation Rentals when planning your next trip to the North Coast! The property was as described. The property management was very responsive. It was well equipped with coffee and cookies included, (no creamer for coffee). The bagel restaurant they recommend in town is amazing. Thanks for your review of Downtown Drift! Los Bagels is the local bagelry, and it's very popular, I'm glad you enjoyed it. Please visit us again, we look forward to having you back! Look us up at Redwood Coast Vacation Rentals when planning your next trip to the North Coast. Thanks again for your review! This is a very nice little place. 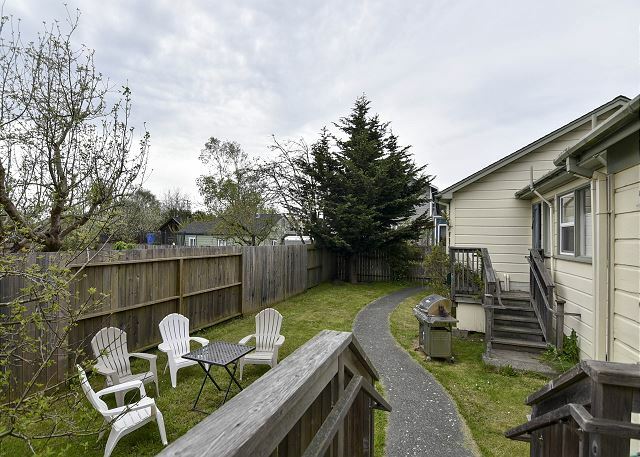 Great location within walking distance to most anything in Arcata. Comfortable living area with nice outdoor space as well. The only down side was the bed in the master was quite hard. Outstanding value and very clean! Thanks for your feedback of the property Downtown Drift! I'm glad it was a good fit for you during your vacation, and I will take your opinion of the mattress to heart and see what we can do. Thanks again for staying with us, we'd love to have you back soon at Downtown Drift, so please look us up at Redwood Coast Vacation Rentals when planning your next trip! Cute, clean house in a very good location. Had a great time and would definitely stay there again! Hi Katie, thank you for taking a moment to leave a review of Downtown Drift. We receive a lot of positive feedback on this property, and happy to hear it was a good fit for your vacation. We would love to have you back, there are also two other units on site that people also love if looking to bring more friends or family for your next visit! Thanks again, we look forward to your return to the North Coast! Great, cute, clean location for exploring Arcata on foot. Downtown drift is in a great walkable location in Arcata. It was clean, quiet, and comfortable. Me, my husband, adult son, and his dog were very comfortable sharing the space. The yard was great to walk the dog in. The remodel was very well done with tasteful decor. We would definitely stay again! We also had no problems with parking. Redwood Coast Vacation Rentals have also been very friendly and easy to work with. We stayed upstairs last time we were here and enjoyed that as well. Thank you for taking time to leave a review of Downtown Drift. It sounds like you've stayed at the property before, in the upstairs unit, Downtown Loft, so I'm happy to hear you returned to see us again, and visit a different unit with an additional bedroom for your son. 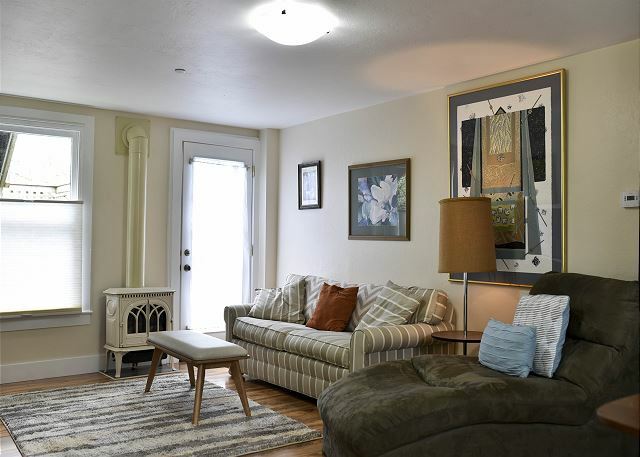 People love these properties, for a lot of reasons, such as location to downtown and community forest, abundant privacy but also shared yard, laundry facilities, affordable and pet friendly, plus an infrared sauna and bicycles for use during your stay. Please come back soon, to any of the three units, we'd love to see you soon! 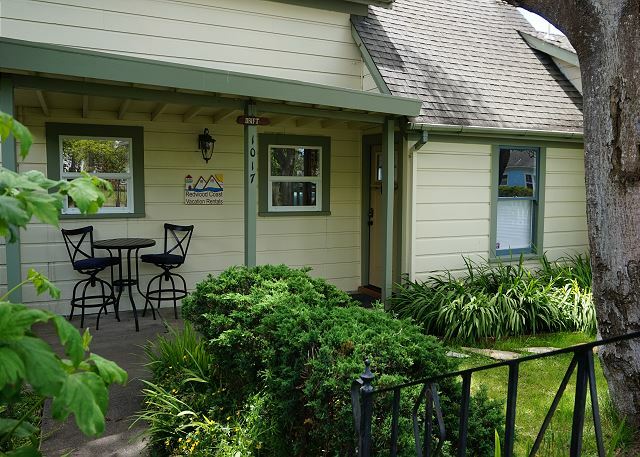 And thanks again for staying with us at Redwood Coast Vacation Rentals! 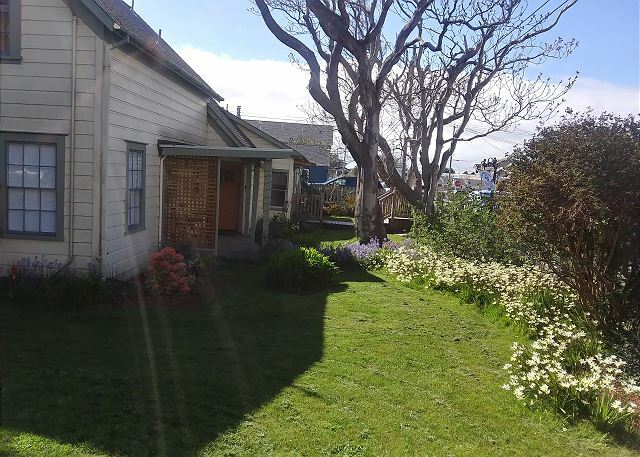 this is a sweet little cottage with a location central to the plaza area. easy walk to great restaurants and shopping. So glad to hear you enjoyed Downtown Drift! 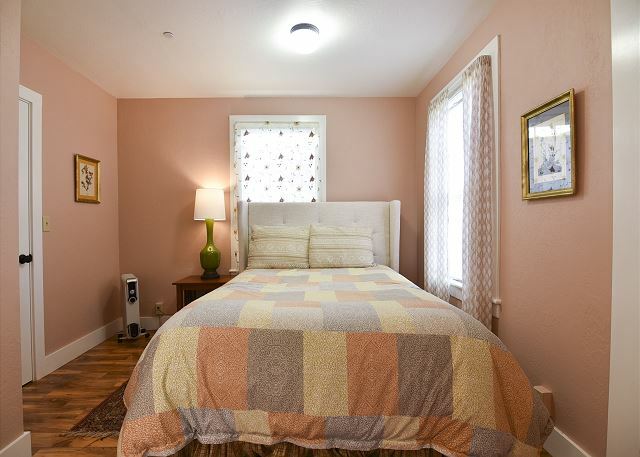 This property is quite popular, for lots of reasons, location, comfort, amenities such as infrared sauna and washer/dryer on site, bicycles available for exploring, and affordability. Downtown Drift has a lot to offer and we'd love to have you back soon. Please look us up at Redwood Coast Vacation Rentals when planning your next trip to the North Coast! Clean, cute and convenient. Water pressure is good. Happy to hear you enjoyed your stay at Downtown Drift! This property is quite popular, and with good reason. 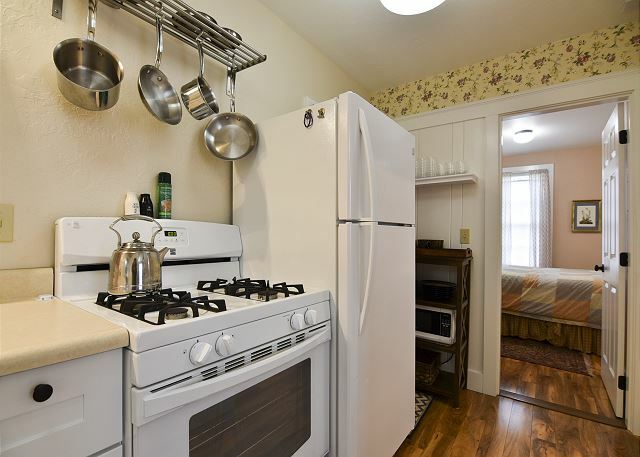 It's close to downtown Arcata, pet friendly, cute and comfortable, nice amenities, and very affordable! We would love to have you back anytime, please look us up at Redwood Coast Vacation Rentals when planning your next trip to Arcata, or the North Coast in general, with over 100+ properties, we have you covered. Thanks again! Property was as advertised. Very clean with everything we needed. Appreciated having laundry facilities available. Parking was a bit of an issue but manageable. Would definitely stay again if ever in the area. Happy to hear the property met your expectations. It's nice that there's a driveway that can accommodate two cars,rather than have it all on street parking, but even that is okay as there is no time limit across the street. We would love to have you back any time, please look us up at Redwood Coast Vacation Rentals when planning you next trip to the North Coast! Wonderful, one word says it all! We love this property, it's very charming and the location can't be beat! Thanks for taking a moment to leave a review of your stay at Downtown Drift. Please look us up at Redwood Coast Vacation Rentals when planning your next trip to the gorgeous North Coast! Cozy little place to stay with a great location with it being close to shopping and restaurants. It was clean and comfortable plus they had Netflix which was handy after being tired out from shopping. Thank you for leaving a review of Downtown Drift, we would love to have you back again anytime! Centrally located with a shared yard for your furry friend to stretch his paws, it's a great value for what is offered. A BBQ and lots of outdoor furniture complete the experience outside to soak up the North Coast summer sunshine during your stay. We look forward to seeing you again at Downtown Drift. Visit us at Redwood Coast Vacation Rentals when planning your next trip! We really enjoyed our stay. Great location and price. Comfortable for all 3 of us. Wonderful to hear! 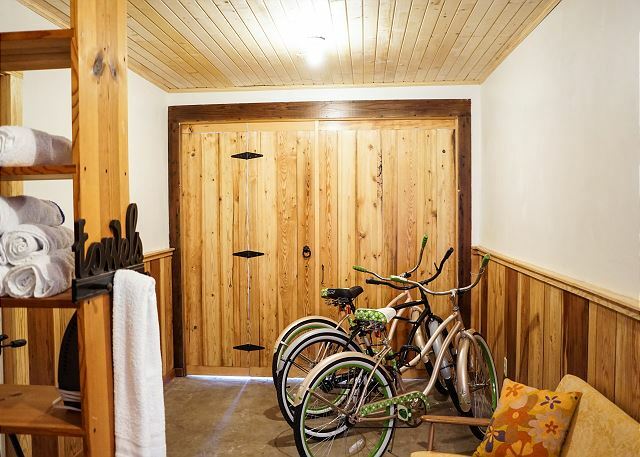 People really love this property, and it's easy to see why, with it's proximity to both the redwoods forest and town, pet-friendly and bikes to borrow on site all add up to an amazing and laid back stay at Downtown Drift. 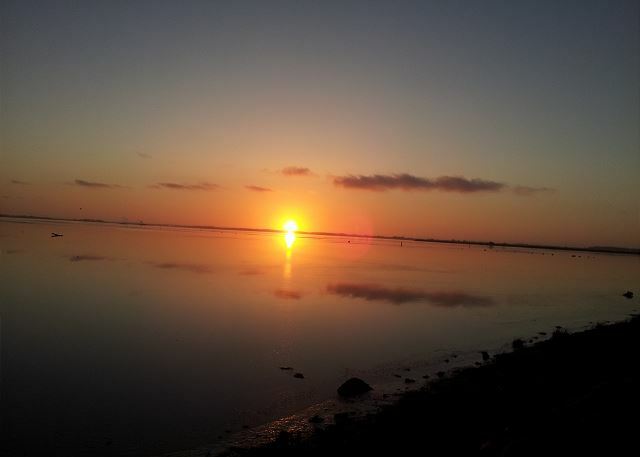 Please come back soon, and look us up at Redwood Coast Vacation Rentals when booking your next trip! The property was easy to book, clean, well furnished, great location, no problem parking. Looks exactly as pictured, and no annoying nautical themed KnicKnacs! Wonderful to hear you appreciated everything Downtown Drift had to offer! This property is very popular, and sounds as if you see why. 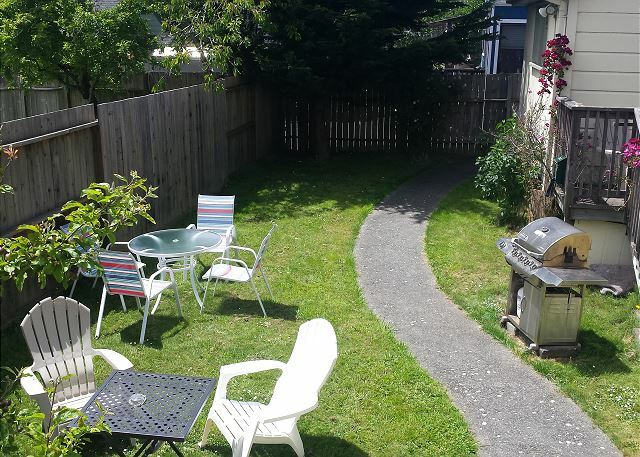 Easy parking and being steps from restaurants, as well as a short walk to the redwoods filled Redwood Park in the heart of Arcata, which you can explore on the backs of one of the four bicycles the owners have provided for their guests entertainment. We look forward to having you back soon! Please look us up at Redwood Coast Vacation Rentals when planning your next trip! We really enjoyed this location. It is very central, an easy walk to the town square for the farmer's market, shops & restaurants. It was spotless inside, and we especially enjoyed the gas stove on a cold, rainy weekend. Plenty of info in the unit on local sites, and we appreciated the local coffee and cookies. The beds were very comfortable. The water pressure in the shower isn't the best, but other than that all was perfect! We didn't have any issues while there, but communication leading up to the visit was quick and thorough. Thank you Anne for taking a moment to leave a review of Downtown Drift! Guests love this property, and it's easy to see why. 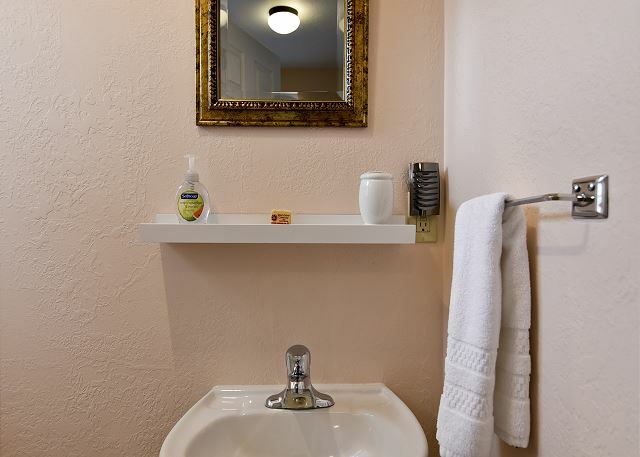 Pet-friendly, affordable and close to amenities, while also being close to national and state parks. And now, with the addition of a communal lounge, featuring an infrared sauna, bicycles, and laundry facilities, there's even more to love! We would love to have you back another time! Thank you so much for your review of Downtown Drift! I'm very happy to hear you enjoyed the property, and since your stay, the owners have added a lounge for guests, with a washer/dryer and infrared three person sauna, some thoughtful additions for all guests to enjoy. We would love to have you back, so please look us up at Redwood Coast Vacation Rentals when planning your next stay on the North Coast! In Arcata to visit our son and his family. A perfect spot, close to them and our own space as well. Well appointed, clean and very cozy. Thanks for your feedback on Downtown Drift! This property is quite popular, due to it's location and it's great decor. It's very comfortable and in the heart of Arcata. 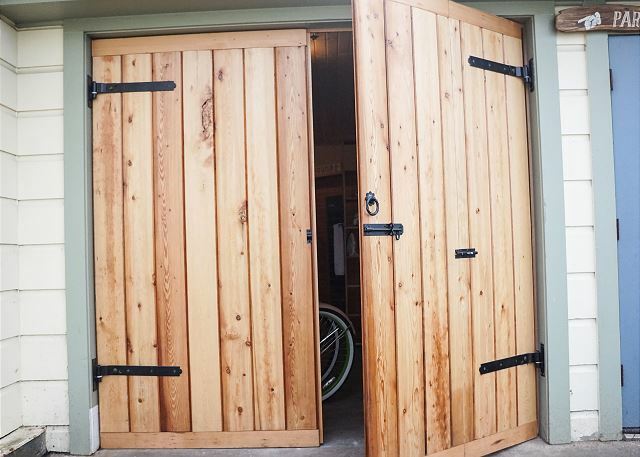 The owner is currently remodeling so that soon there will be a sauna and access to a washer/dryer, as well as bicycles that will be available for guests to use. It's bound to become even more popular! Please look us up at Redwood Coast Vacation Rentals when planning your next trip to the North Coast, we'd love to have you back! Very pleasant spot to stay while visiting Arcata for a few days. There was construction right next to the unit we were supposed to be in, and Redwood Coastal Vacations was very accommodating- they moved us to a unit further from the construction within minutes. The property manager was very responsive. Would highly recommend staying here! Thank you so much for staying with us at Downtown Drift. We are so pleased that we could accommodate you. We are in the process of making and Suana/spa area and putting in a washer and dryer for our guests. We look forward to your return! My son and I visited Arcata for a short visit with my son who is attending HSU. 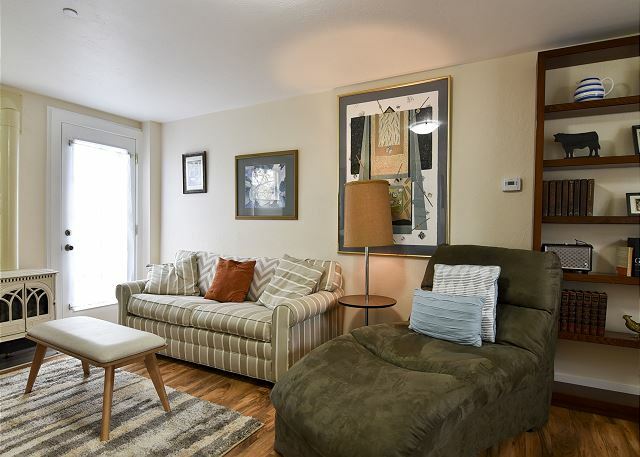 Since he's living in downtown Arcata, this rental was extremely convenient, walking distance to his room, as well as the Co-op Market, and our favorite, Slice of Humboldt Pie. The rental is far enough from the Plaza to be more quiet, and parking was never a problem. The unit itself is very nicely decorated, comfortable and homelike. I appreciated the vintage mid century furniture, and the modern renovations are very well done. The only downsides are the lack of a dishwasher or washer/dryer, and low water pressure in the shower. I normally stay at the Holiday Inn when I visit, but this rental offered a better value and was a much better space to spend time with family. I'd stay here again (or try one of the other units attached to this one). So happy to hear you enjoyed your stay at Downtown Drift! We'd love to have you back anytime, and to any of the units there, Downtown Digs and Downtown Loft. There are many great dining options like the ones you mentioned, as well as many more, and lots lf cute shops on the Plaza to browse as well. I'd agree that it's indeed a a better value than a hotel, you have a yard for your pet ( all three units are pet friendly) with a grill for those who like to BBQ. Please look us up at Redwood Coast Vacation Rentals when booking your next trip to the lovely North Coast! Loved the location within walking distance to town. Having 2 bedrooms and 1 and 1/2 bathrooms is very handy. 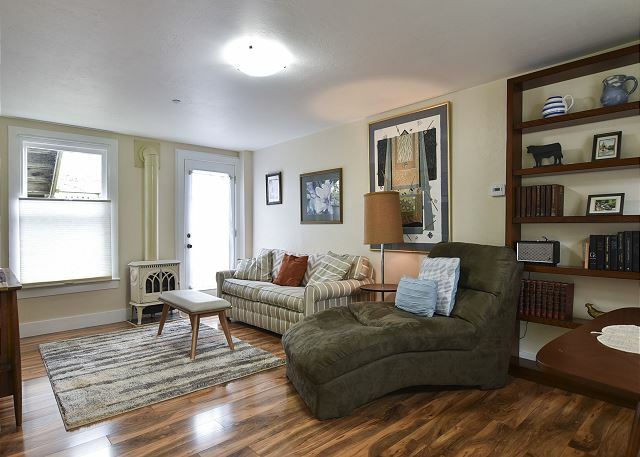 Also great living room with good TV and comfortable chaise. Would definitely rent again! Wonderful! Glad to hear you love this property as much as we do! We look forward to having you back again at Downtown Drift. Please look us up at Redwood Coast Vacation Rentals to book your next vacation to the North Coast! You're the best, We love "excellent." Thank you for staying at Downtown Drift, we are so happy you loved it. We look forward to your return to Redwood Coast Vacation Rentals, a 100+ Accommodation company. Loved our stay at the Downtown Drift! We were so happy to have found such a great place to stay while visiting the Redwood forests! This place is clean and looks just like it does in the pictures. My husband really enjoyed the lounge chair in the den after days of long hikes in the Redwoods! We also enjoyed the comfort of sitting in the den each morning, drinking our coffee, and relaxing before heading out for another day of adventure. Having the kitchen was great, as we could make our own coffee, keep things cold in the fridge, and even used the oven to bake a pizza one night. When we first got there, we couldn't get one of the space heaters to turn on, so we called the office. The owner very quickly arrived & brought us another heater. He was a very nice young man, stayed & visited with us for a good while, and gave us all kinds of recommendations for things to do in the area and places to eat. There are a few little things to make you aware of in case you decide to stay at this cute place. There is a slight decline in the floor throughout the house - feels like you're going downhill a little toward the back of the house. This was not a problem for us but could be for people who have balance problems. There are no closets in the house if you have nice clothes you want to hang. There are a couple over-the-door hangers in one of the bedrooms with several hangers, and this worked fine for us. My husband didn't like that the coffee pot was tucked into a small corner next to the fridge - was hard to get to. We tried to move it but found that both electrical outlets above the kitchen counter did not work - not sure why? We did not call the owner again, as this really was not a big issue. One really big plus is that the wifi works great! All-in-all, we loved our stay in this cute house & were sad to leave. Thank you so much for the lengthy review, we love guest feedback. 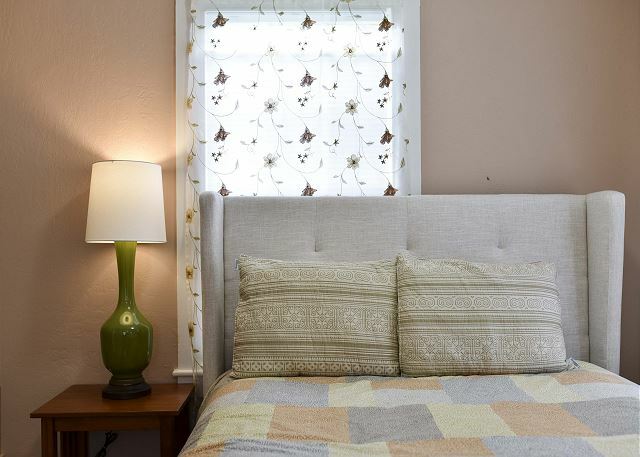 We also think Drift is special, the owners spent time making sure that guests would be comfortable and cared for.The central location to Downtown Arcata, while being close to trails and outdoor adventure make it a great choice for your vacation! The outlets you mentioned have been fixed, it is one of our newer properties, so thank you for your patience while ironing out final details. We're glad you appreciate the high-speed internet and the comfort of the den with the awesome lounge chair! Please visit our website, Redwood Coast Vacation Rentals to view all our properties. At 100+, we're pretty proud of our selection so that there's something for everyone. We don't want you to be sad, so please come back soon, we'd love to have you again! Very nice place. Comfortable, clean, convenient. We used it as a base for two nights visiting the redwoods with our teenage son and exchange student. Thanks so much for your review of Downtown Drift! 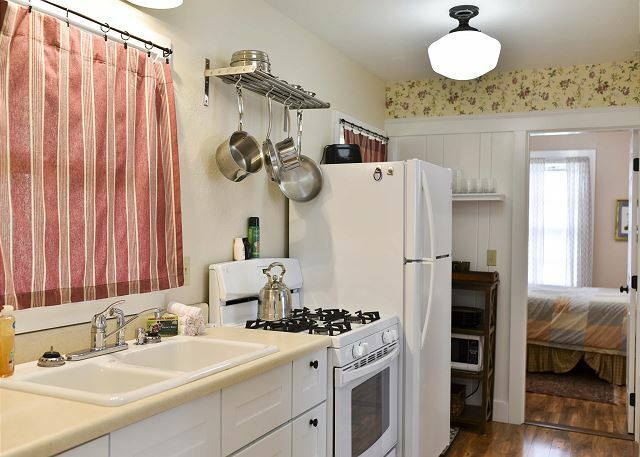 It's convenient location in the heart of Arcata allows for easy access to shopping and restaurants while also being very close to beautiful trails so guests can explore the redwoods and all the North Coast has to offer. We hope to have you back soon, and don't forget to check out our website, Redwood Coast Vacation Rentals to see our selection of 100+ homes throughout Humboldt County! House was in good condition, as advertised. I was unaware that it was a triplex-I think that should be disclosed in advert. Some noise from above unit, but not too bad.. Thank you for staying with us at Down Drift,. 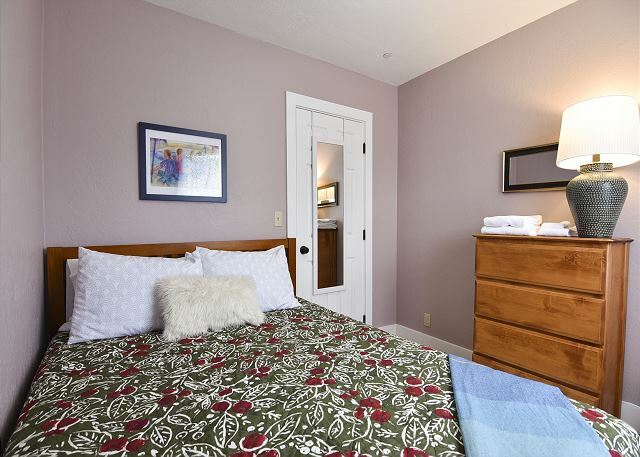 Yes this lodging accommodation is comprised of 3 cute and fresh places just minutes from town. We look forward to your return to Redwood Coast Vacation Rentals, a 100+ accommodation company! Clean, Close to Downtown, Adorable! We stayed for two nights in this very cute house. The decor is charming and the house is very clean. The kitchen was well-stocked with everyone we needed. We could easily walk downtown, and it was a short drive to Humboldt State where our daughter was touring. Nice neighborhood too. A great stay! 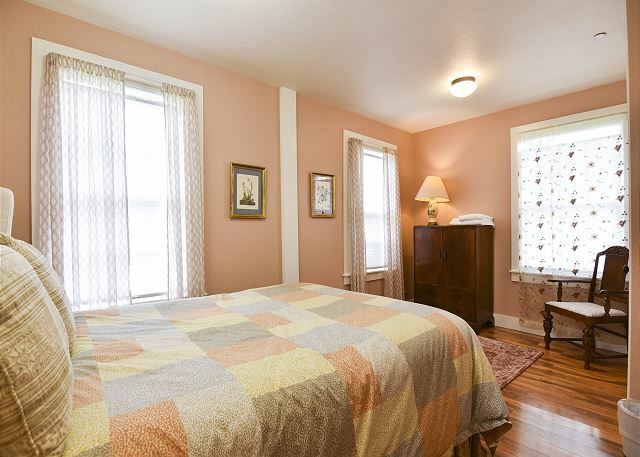 This place is the perfect location for accessing everything in the heart of Arcata. It's close to the square, restaurants, bars and grocery shopping. Once you get here from the airport, you don't need a car if you are not leaving Arcata. The place was spotless and had a kitchen with enough basics to make a decent meal for two. Hey Thanks! We love Downtown Drift! We are so pleased to hear you loved too. Although Redwood Coast vacation Rentals has over 100 accommodations to choose from, Downtown Drift tends to book up. Be sure to plan ahead because people love as you did. Thank you, thank you! Cozy, clean, excellent location a block from the square. Managers were very responsive. Will stay there again. Thank you so much for coming to stay with us at Redwood Coast Vacation Rentals. We have many accommodations across the Redwood Coast. We are so pleased that Downtown Drift was the best fit for you. We look forward to your return! We had a very nice time in this unit. It was as described very close to the Downtown/Plaza area. It also had a nice backyard area to sit and relax. My only complaint was the water pressure coming from the shower head. Other than that I would highly recommend it to other travelers, and will probably be re-renting the unit again in the future. Thank you so much for taking the time to write this review on Downtown Drift. It is one of our newest places so any suggestions or feed back is much appreciated. We will look in to the pressure as we want all to have the best experience. Thanks again! The home is updated and adorable. Comfortable beds and furniture. Easy walk to the plaza and HSU. I have stayed in quite a few rentals since my daughter started attending HSU. This one is my favorite! Thank you so much for staying with us at Downtown Drift! We just finished this place and it is so fresh and new. It's a perfect location, it's clean, and cozy. We look forward to your return to Arcata with Redwood Coast Vacation Rentals!